Glasgow City Council’s Glasgow Film Office (GFO) has unveiled the latest economic impact figures from the film, broadcast and advertising productions it plays a key role in attracting to the city. In 2018, such productions brought over £19.1million to Glasgow’s economy – a 26% increase on 2017. 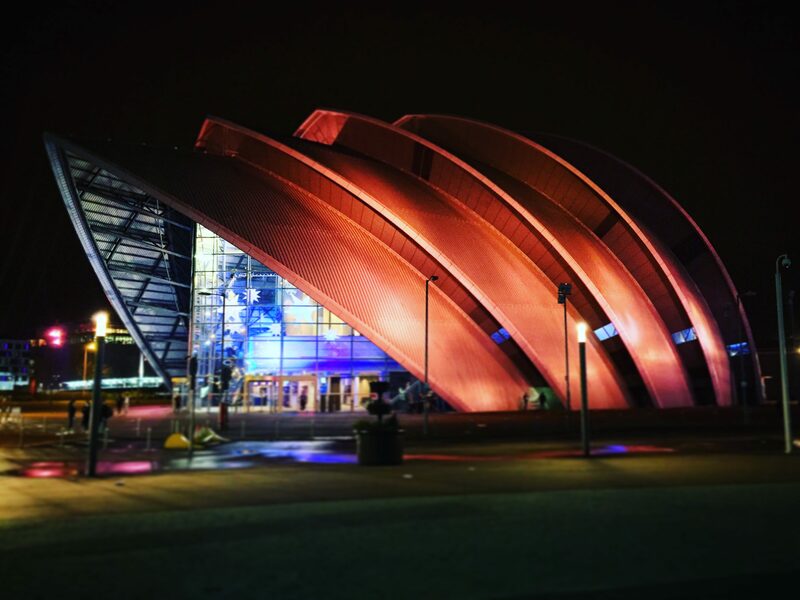 Since its creation in 1997 with a remit to promote Glasgow as a ‘film-friendly’ city, GFO has helped to bring productions that have generated over £320million locally. GFO acts as a one-stop shop for productions either filming or looking to film in Glasgow, enabling them to meet with other council teams and other public bodies, as well as local location owners. A key aim of the GFO is to ensure filming has the minimum possible impact on Glasgow’s daily life while bringing the greatest economic impact. In recent years, a long list of major film and broadcast productions have come to Glasgow, including Outlaw King, The Wife, Still Game, Outlander, The Replacement, Shetland, Trainspotting 2, Churchill, Wild Rose, Fast & Furious 6 and last year’s city centre filming of Hobbs & Shaw, the spin-off from that globally-successful franchise. GFO also with partners through the Glasgow Film Partnership to make filming on location in the city as simple as possible. Some of the (over 60) members of this partnership include Glasgow Chamber of Commerce, the University of Glasgow, Glasgow Science Centre, SPT, Glasgow Airport and Network Rail. More detail on Glasgow Film Office is available at: www.glasgowfilm.com. A fund will provide support to independent shops on the High Street and Saltmarket, one of the oldest and of the most historically significant thoroughfares in Glasgow, as part of a strategy to regenerate the area. The appearance and shop fronts and the buildings in which they reside has a considerable impact and influence on an area’s character. This fund – the Independent Retail Fund (IRF) – is a shop front improvement grant available to tenants and owners of occupied shops on Saltmarket and the High Street. Glasgow City Council will work with City Property Glasgow Investments and other commercial property owners to provide 100% funds to shops – £5,000 for double units and £3,000 for single units – to enable them to undertake necessary external enhancements / redecoration and other improvements such as removing / upgrading signage, replacing damaged tiles and feature lighting for signage or window displays. An officer from Glasgow City Council will visit eligible properties to discuss the fund and provide assistance with applications if required. It is hoped that these improvements will enhance the appeal of the area to visitors, customers and local residents and contribute towards business and consumer confidence. This project is part of the wider High Street Area Strategy, a five-year plan to redevelop this historic quarter and support small businesses and the local economy. One of the recipients of the Independent Retail Fund is Bonjour, a new inclusive bar / creative community hub, based at 37 Saltmarket. The High Street Area Strategy (HSAS) will breathe new life into the historic heart of the city around the High Street and Saltmarket through the promotion of the area’s rich history and built heritage, greater support for its small businesses and the local economy, and enhanced public realm. The area is home to around 6,000 people and features a host of attractions such as the Barras, Glasgow Cathedral, Glasgow Green, the Necropolis, Provand’s Lordship, the St Mungo Museum of Religious Life and Art, the Tollbooth Steeple, and key locations on the Glasgow City Centre Mural Trail, as well as independent shops and traders, artists’ studios, bars, restaurants, the Glasgow City Innovation District and the Tontine centre of innovation. The strategy will be overseen by a cross-party body, the High Street Reference Group, comprising all the councillors representing the wards covering the area. Other action plans through the HSAS include: working with partner agencies to promote the preservation of built heritage; establishing a Heritage Trail to link the area’s visitor attractions and highlight historical points of interest; introducing a new “Meanwhile Space” initiative to bring vacant shop units into positive use; and exploring more opportunities for quality public space and active travel. The High Street Area Strategy can be found online here: http://www.glasgow.gov.uk/CHttpHandler.ashx?id=43009&p=0. Children from a Glasgow nursery are proving to be an elixir of youth for residents of a nearby care home. Weekly visits from youngsters at Silverdale Nursery in Dalmarnock are giving residents of neighbouring Riverside Care Home a new lease of life. The inter-generational project in the former Commonwealth Village benefits young and old alike, as the children learn from their seniors who, in turn, are kept active and alert by their lively young friends. Margaret Anne MacKinnon, Silverdale Nursery Head Teacher, said: “The children love visiting their friends in the care home and welcoming them into the nursery. It is really lovely to watch them interact with their guests when they are here. Staff from the nursery take a group of children aged 3-5 years on a short walk to the care home once a week and the following week, care home residents, aged 65- 99 years, attend the nursery. The youngsters recently joined their older friends for a Teddy Bear’s picnic at the care home and a sponsored walk is also being planned. TV programme, The Care Home for Four Year Olds, featured an inter-generational pilot which highlighted the physical and mental benefits for older people in a care home environment.Tests showed the seniors’ mood, memory and mobility all improved during and after regular visits from a group of children. Similar inter-generational projects take place at Glasgow Health & Social Care Partnership’s two other new build residential care homes – Hawthorne House in Bardowie Street and Orchard Grove in Prospecthill Road. Glasgow City Council has passed a budget that invests in communities and ensures the city is ready to deal with its half-billion-pounds equal pay bill. Members today backed the City Government’s budget plan for 2019/20, which will see Council Tax rise by 3% – well below the 4.79% cap set by the Scottish Government. Spending plans for the coming year will not see the closure of any community facilities, but will invest around £26 million in neighbourhood infrastructure like pavements and roads. Meanwhile, some £20 million will be invested in developing new community hubs designed to bring together valued local services under one roof. Council leader Susan Aitken said: “I am delighted that a budget which maintains the importance of Glasgow’s communities, protects frontline services and cherished facilities and continues to invest in this city’s priorities has been passed by Council. “It is a budget which builds on both the commitments my administration was elected on and the foundations the City Government has laid in social justice and inclusive economic growth. “It addresses the need for sustainability and carbon reduction; invests almost £50million on community facilities and the fabric of our neighbourhoods; acknowledges the invaluable role of our staff and the need to promote fair work and quality jobs and skills, and it supports the needs of our youngest and oldest citizens. “Of course, after a decade of austerity we face considerable challenges but I am delighted that we have presented a balanced budget underpinned by fairness. We have ensured that, despite the continued attacks on our poor and vulnerable, we have again done all in our power to protect Glaswegians from the worst ravages of austerity. “It is also a historic budget because the process of finally ending pay discrimination in this city underway. Justice comes with a price, it presents us with challenges and it accounts for over half this year’s budget gap. Heading into today’s budget meeting, the city’s spending gap was just under £41 million, largely due to the effects of inflation – and the requirement to set aside cash to meet the initial costs of settling equal pay claims. Members agreed to close the gap through a range of measures – from prudent use of the city’s reserves to a package efficiency savings; spending reductions, and changes to fees and charges designed to generate more income. This means the city is able to protect valued frontline services, while investing in key priorities. This includes a new economic development programme bringing together support for apprenticeships, employment, in-work progression, the Living Wage and social enterprise that will secure Glasgow’s status as a Fair Work City. City Treasurer Cllr Allan Gow said: “This budget meets the immediate challenges facing the city by balancing our finances, while protecting local services and making long-overdue provision to meet our obligations on equal pay. “However, our investments in communities and neighbourhood infrastructure are also about fundamentally changing the way we manage our resources in the years and decades ahead. Changes to kerbside bin collections – where crews currently service many bins that are less than half full – will see some homes switch to a three-weekly cycle; reducing waste and landfill and increasing recycling rates. A new environmental ticket levy will establish a £2.50-per-head fee for major events like festivals and concerts held in the city’s parks, ensuring our green spaces and the people who use them benefit. The city’s successful Holiday Hunger programme, which last summer saw 14,600 young people served more than 131,000 healthy meals and snacks, will continue – and popular initiatives to cut traffic around schools and close streets to allow children to play in a safe, traffic-free environment will be extended. The last of the city’s infamous red blaes pitches will be eradicated from schools, thanks to a £2.5 million investment in modern Multi-use Games Areas. Membersalso signed off on a healthy programme of capital spending; with a total of £94 million available for the first of a new generation of community facilities, a major investment in nurseries and various other projects across the council family. Glasgow City Council has today (21 February) approved a £50,000 grant as a contribution to the remediation of the berth for the PS Waverley at Glasgow Science Centre. This grant will allow urgent work – estimated to cost over £108,000 in total, with some components approaching the end of their natural life – to be done that will ensure the berth can meet ongoing requirements for the Waverley. The Waverley has been berthed at Glasgow Science Centre since its move from Anderston Quay in 2003 to allow the construction of the Clyde Arc Bridge. The world-famous paddle-steamer is one of a few vessels currently operating on the Clyde for leisure purposes, and is key to maintaining and developing vibrancy on the river and its banks. The Waverley generates £3.6million for the Scottish economy every year, supporting 136 FTE jobs. The remediation works will take place when the Waverley is not berthed, possibly in May 2019 when the Waverley is at dry dock or in Autumn 2019 when the Waverley will be sailing in the Bristol Channel and South Coast. More information on the PS Waverley, which sails from Glasgow to various locations on the Clyde coast and the Scottish islands between May – August, can be found at: http://www.waverleyexcursions.co.uk/. Glasgow City Council today (21 February) approved Supplementary Guidance on Economic Development within the City Development Plan – this guidance will now be submitted to Scottish Ministers for consideration. Glasgow’s City Development Plan – adopted in March 2017 – is the basis for planning and regeneration decisions in the city. As well as this, it provides context and broad principles for a range of environmental and development based topics – one of which is Economic Development. Today’s decision is notable as it marks both the first time that the shift towards a knowledge economy in Glasgow has been included in the guidance, and a move away from a focus on business and industrial land to a wider consideration of what drives the city’s economy and attracts investment. These economic drivers include traditional economic development areas (71 business and industry locations throughout Glasgow), the city centre and other town centres, as well as hospitals and further education campuses – recognising that the latter two playing a key role in the city’s economy and improving its knowledge base. Another evolution in the guidance on economic development is the move towards a more flexible approach that may allow other, non-traditional business and industry uses to be promoted within certain economic development areas. Other elements of the City Development Plan already submitted to Scottish Ministers include guidance on sustainable transport, meeting housing needs, placemaking, and the historic environment among others. This guidance provides the statutory basis for making decisions on planning applications in Glasgow. The revised supplementary guidance on Economic Development, which was developed through public consultation with a variety of stakeholders, can now be viewed at: http://www.glasgow.gov.uk/CHttpHandler.ashx?id=43312&p=0. Eddie McGinlay’s job prospects were in the rough, until Glasgow Supported Employment Service helped him score a hole-in-one at a Glasgow golf club. Despite completing Project Search, a one year work experience programme for people with learning disabilities, applying for over 100 jobs and securing 20 interviews, Eddie, struggled to find a job. Nerves got the better of him during interviews and he clammed up when quizzed about his abilities. But the determined 24-year-old refused to give up and actions spoke louder than words when the employment service set him up with a work trial at Haggs Castle Golf Club. Eddie’s reliability and strong work ethic shone through, earning him a job as a kitchen porter at the club in May 2017. Today, he’s progressed to performing sous chef duties preparing starters and puddings as well as the breakfast menu. He never misses a day’s work and regularly does extra shifts and overtime if asked. Earning a wage gives Eddie independence and enables him to enjoy pastimes like going to the cinema and gym. He is also saving up for driving lessons. He said: “It was disappointing when I kept applying for jobs but didn’t get one. The work trial was good, because I didn’t have to do an interview. I get really nervous and don’t know what to say. Last week, Eddie’s resilience was recognised when he was presented with two trophies at Glasgow City Council’s Leader’s Awards for Care Experienced Young People. Eddie bagged the Outstanding Award for Employment and also claimed the overall prize for Outstanding Journey and Achievement. Modest Eddie was overwhelmed by the recognition. The Leader’s awards recognised the achievements of young people who are, or have been, looked after and accommodated by the council. Another 15 amazing young people were also honoured for their success in education, the arts and training. Places are now available on the next Project Search programme which will run from August this year until June 2020, Monday – Friday, 9am to 4pm. Applicants must live in Glasgow, want to work over 16 hours a week, be aged 18-25 years, be able to travel independently and have a learning disability or autistic spectrum condition. Participants are expected to have excellent timekeeping and attendance. Project Search is based either in the University of Strathclyde or at Glasgow Royal Infirmary. Anyone interested in joining, should attend a recruitment event in Glasgow City Chambers on March 25th, from 4.30pm to 6pm. The service is part of Glasgow’s Health and Social Care Partnership. In Glasgow, Project Search is delivered by partners including Glasgow City Council, NHS Greater Glasgow and Clyde, Glasgow Clyde College, City of Glasgow College and Autism Network Scotland. Car free zones are set to be trialled at seven Glasgow primary schools in a bid to improve road safety for children. The scheme would see temporary pedestrian areas created outside the seven schools for limited periods in the morning and afternoon to help ensure pupils can arrive and leave school safely. The push for the pilot programme follows a series of concerns such as poor and risky driving outside schools, obstructive parking that forces pupils on to the road as well as the issues created by congestion and harmful emissions. The proposals for streets around Bankhead, Broomhill, Hillhead, Lourdes, Our Lady of the Rosary, St Blane’s and Toryglen primary schools are currently being consulted upon by the council. Views are being sought from the council’s Education Services, head teachers, parent councils, community councils, elected members, Police Scotland and other members of the community. The schools chosen for the pilot have a history of complaints and concerns from parent councils, community council and elected members about pupil safety on the school run. But there is evidence that the schools earmarked for involvement in the scheme experience high levels of car use for the school journey and also have to deal with acute congestion at the school gates. The eligibility for involvement in the scheme also considers the school’s location on the road network – the school entrance shouldn’t open on to a bus route for instance. But also that there should be reasonable scope for the surrounding area to cope with displaced traffic. Councillor Chris Cunningham, City Convenor for Education, Skills and Early Years, said calls from the affected communities for a safer environment outside schools have driven forward the plans for school car free zones. Councillor Cunningham said: “There is a public demand from parents and residents to make sure children are as safe as possible when heading to and from school. A number of initiatives have already tried to clamp down on poor driver behaviour, but problems that put children at risk still persist. Councillor Anna Richardson, City Convenor for Sustainability and Carbon Reduction, backed the pilot programme and hoped it would encourage more pupils to take an active travel option to get to school. Councillor Richardson said: “We must ensure our young people are as active as possible as a way to tackle the ever increasing problem of childhood obesity. Creating a safer, more pleasant environment for children to walk and cycle to school can absolutely play a part in promoting a healthier lifestyle for young people. A starting date for the school car free zones has still to be confirmed. It is anticipated that the trial period will last for up to 18 months. Indicators for the success of the project will include a reduction in congestion and speed of traffic around school gates and increase in the number of children walking and cycling to school alongside a reduction in the number of car trips to school. It follows the most recent award of the Elizabeth Cross to two affected families by Glasgow’s Lord Provost Eva Bolander, in her capacity as Lord Lieutenant, late last year. James McManus (74), the brother of Leading Aircraftman Joseph McManus (19); and Robert Boyle Mathieson (60), the son of Private James Boyle (21), proudly accepted the medals and spoke poignantly of their loss and grief at a special ceremony held in the City Chambers last November. The men were killed in separate road traffic accidents while deployed on that island mission. Joseph on 18 May 1956 near Nicosia and James on 17 November 1958 in Nicosia. They are buried at Wayne’s Keep, the British Military Cemetery, in Cyprus. James recalled the shock of learning of his big brother’s death. “I was out in the back garden playing. I remember seeing my mother at the back door crying with a Telegram in her hand. Joseph, known as Joe, was born on 11 March 1937 to Peter and Annie McManus from Blantyre. His siblings: Ann, Margaret, Kathleen, Christine and James. He was educated in Motherwell and Bishops Waltham before enlisting with the RAF on 10 June 1955 aged 18 years. Following completion of his basic training at RAF Hednesford in Staffordshire, he was posted to RAF Weeton in Lancashire. There he passed his trade tests qualifying him as an Aircraftman 1st Class in engine mechanics in November 1955. Joe was assigned to 103 Maintenance Unit at RAF Akrotiri, Cyprus on 21 December 1955 to support the RAF’s Middle and Far East operations. He was also regularly detached to the island’s other air base at Nicosia. Bases that would become increasingly strategically important as the British Air Force pulled out of Egypt and converged on Cyprus. Robert, the son of Pte Boyle, was less than six months old when his father died. He grew up knowing nothing about him. His mother Margaret, known as Greta, remarried. Robert took the name Mathieson as an infant. His stepdad was Alex Mathieson and the family lived in Castlemilk and Bridgeton. Robert remembers coming across the Telegram about his dad’s death, when he was around four years old. However, no-one spoke about him. It was only by chance, listening to the radio, he learned about the Cyprus Emergency Peace Keeping Force and heard his father’s name. Allowing him to finally piece together fragments of his past. Robert also revealed he’d only recently found out his father had brothers and sisters: Margaret, Elle, Mary, Dominic, Thomas, Henry and Francis. The children of John and Elizabeth Boyle. Robert, who runs the Kilt Centre in Hamilton, said: “This medal is the catalyst to continue my investigations into my father’s past. I’m looking forward to finding out more”. Pte Boyle was born in October 1935 and joined up aged 21 years. He was posted to 5 Training Battalion, Blenheim Barracks, Aldershot, for basic training in February 1957. And later assigned to the 42nd Company, Royal Army Service Corps, 1st Transport Column deployed to Cyprus. Les Smith (80) from Lancashire, who also served in Cyprus, with the Royal Horse Guards (The Blues), is trying to track down relatives of the 372 young men who died during the 1955 to 1959 Emergency. Including 47 men who came from Scotland. Pte George Cullen (18), from Glasgow. Served with the Highland Light Infantry. Killed in an accident on 8 June 1956. Sgt Alexander Stuart Sutton (39) from Kelvingrove, Glasgow. Served with the RAF. Died in an accident on 27 May 1956. Cpl George Fergusson (20) from Govan, Glasgow. Served with RAF Nicosia. Died on 27 March 1959. Glasgow City Council is inviting hundreds of businesses in the city centre to help shape a new action plan to tackle anti-social behaviour around central station. Letters are being sent to around 500 businesses in Argyle Street, Hope Street, Renfield Lane and Union Street outlining a joint approach to address anti-social activity through partnership working. A series of meetings have already taken place following concerns raised by businesses and now, the council, project partners (including British Transport Police and Police Scotland) are drawing up an Action Plan in coordination with a range of agencies and support organisations. Councillor Allan Casey said: “Glasgow has a vibrant city centre which attracts a high number of people. Like many other cities, issues can arise and these can impact how people use and perceive the city centre. “Our plan is to co-ordinate the relevant services to tackle unacceptable behaviour taking place around Central Station and the surrounding areas. We want to promote and encourage positive activities instead, such as events, for the benefit of local businesses, residents and visitors. Businesses along Argyle Street, Hope Street, Renfield Lane and Union Street are being invited to help introduce a joined up approach to tackling anti-social activity.